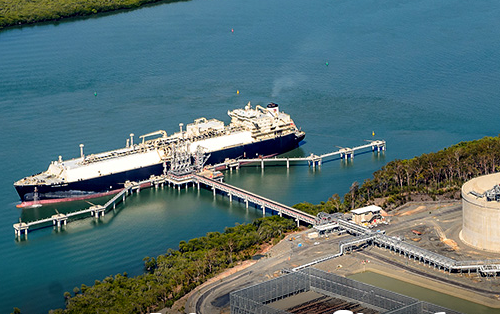 Australia Pacific LNG has announced the start of production from the second train at its Curtis Island facility near Gladstone. The company, which began LNG production from its first train in December 2015, confirmed that it had produced 150,000 cubic metres of LNG, equivalent to the volume required to fill an LNG ship. Australia Pacific LNG CEO, Page Maxson, said the start of operations from the second train marks the final major construction milestone on the company’s journey to becoming one of Australia’s leading domestic and international energy supplier. “The second train is up and running, enabling our LNG Facility on Curtis Island to deliver commercial quantities of LNG at sustained output from both trains. With our strong reserves position we are looking forward to working with our key customers here in Australia and overseas to help meet their energy needs today and in the decades ahead,” Mr Maxson said. The commencement of train two operations means that approximately 200TJ/day of equity gas that was previously directed to the QGC sales contract will become available to Australia. Minister for Resources and Northern Australia Matt Canavan has welcomed the announcement, saying it was an important boost to Australia’s export capacity. “It will also deliver a sustained and reliable energy source to domestic and key international markets like Japan and China,” the Minister added. APPEA Chief Executive Dr Malcolm Roberts also congratulated Australia Pacific LNG and its employees on “delivering a first class world project professionally and safely”. “Six trains are now fully operational on Curtis Island off Gladstone following unprecedented investment in world-first projects that are exporting a cleaner energy source to the world,” Mr Roberts noted.